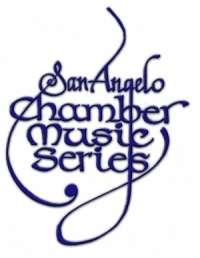 San Angelo Chamber Music Series features concerts by outstanding musicians from across Texas and the United States and regularly draws patrons from every segment of the community with both traditional chamber musicians and more broadly based contemporary or ethnic music groups. Several local caterers and restaurants will provide refreshments for the concerts. Ensembles perform in an intimate and acoustically wonderful space with all concerts starting at 2:00 p.m. at the Art Museum. Mexican American tenor, Dr. Joshua Diaz is an up and coming talent from San Angelo, Texas. Eagerly he is returning home for a recital full of cherished art songs, operatic favorites, musical theater gems, and more! Please join us on Sunday, March 17, 2019 as part of the 2018-2019 Chamber Music Series.